One can also find the bio-data on ISPR page here. Martial race was a designation created by Army officials of British India after the Indian Rebellion of 1857, where they classified each caste into one of two categories, ‘martial’ and ‘non-martial’. The ostensible reason was that a ‘martial race’ was typically brave and well-built for fighting, while the ‘non-martial races’ were those whom the British believed to be unfit for battle because of their sedentary lifestyles. However, an alternative hypothesis is that British-trained Indian soldiers were among those who rebelled in 1857 and thereafter recruitment policy favoured castes which had remained loyal to the British and diminished or abandoned recruitment from the catchment area of the Bengal army. The British regarded the ‘martial races’ as valiant and strong but also intellectually inferior, lacking the initiative or leadership qualities to command large military formations. They were also regarded as politically subservient or docile to authority. For these reasons, the ‘martial races’ theory did not lead to officers being recruited from them; recruitment was based on social class and loyalty to the British Raj. 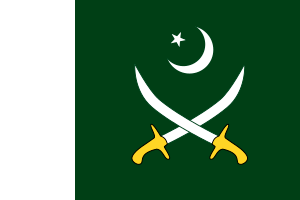 Though seldom used in today’s context, it has been alleged that Pakistan Military believed in the concept of martial races, and thought that they would easily defeat India in a war, especially prior to the Second Kashmir War Based on this belief in martial supremacy, it was popularly said that one Pakistani soldier was equal to four to ten Hindus or Indian soldiers, and thus numerical superiority of the foe could be overcome. The Pakistan Army was also accused of bias and racism by the Bengalis of East Pakistan who felt humiliated by this dubious theory that was being floated in West Pakistan, that they were not ‘martially inclined’ compared to the Punjabis and Pashtuns. 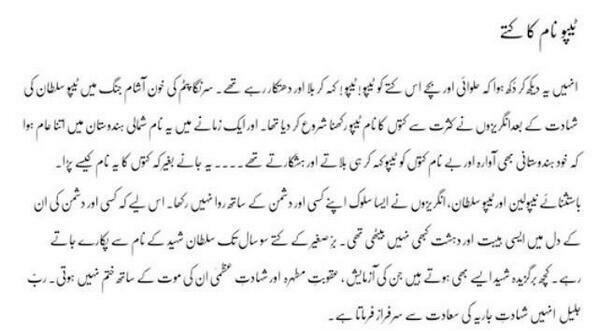 Pakistani author Hasan-Askari Rizvi notes that the limited recruitment of Bengali personnel in the Pakistan Army was because the West Pakistanis “could not overcome the hangover of the martial race theory”. Defence writers in Pakistan have noted that the 1971 defeat was partially attributable to the flawed ‘martial races’ theory which led to wishfully thinking that it was possible to defeat the Indian Army based on the theory alone. Author Stephen P. Cohen notes that “Elevating the ‘martial races’ theory to the level of an absolute truth had domestic implications for Pakistani politics and contributed to the neglect of other aspects of security.” Since then, the ‘martial race’ theory has rarely, if ever, been used by Pakistan. Probably Wikipedia writers didn’t get the ISPR bio-data of COAS Gen Raheel Sharif. I have gone and edited the above entry to incorporate Pakistan Army still believes in Martial Race theory. Lets see if it gets accepted. To summarize, Martial Race theory was devised by British Raj to define races that will remain loyal to British. This view is also propounded by Shuja Nawaz in his book Crossed Swords. The point here is not to belittle the valor and sacrifices of soldiers of Pakistan Army. The point here is Pakistan Army continues to hold the dubious theory as absolute truth that their former colonial masters floated to keep them as a loyal subject. Last year I visited Madina Munawwarah and stayed at a five star hotel which had a bed and breakfast deal. They had a large breakfast buffet in the morning comprising of Arabic, Oriental, etc breakfast options. To cut the long story short, they also a had a fruit table where all kinds of sliced fruit were available in ready to eat format. I was amazed at their watermelon pieces. They must have cut around 50 to 100 watermelons to fill the various trays on multiple tables. The surprising part of it that there was not a single bad water melon. 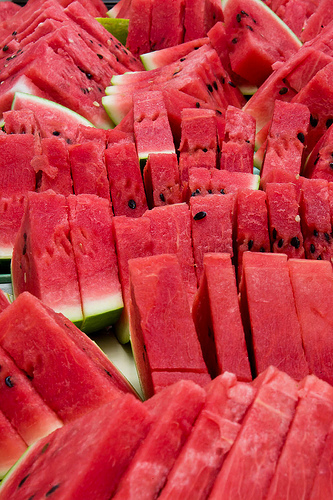 All the watermelons were red-dark pink and sweet. Whenever we go to a shop to buy water melons we have to check for sweet and red ones and occasionally we end up with unripe or non-sweet water melons. But in that hotel all the water melons pieces were ripe and sweet and red. Why can’t we get such delicious water melons every time? This reminded me of an earlier event. Around 2004, a colleague of mine who used to work in the same bank branch as I did in Karachi was traveling to his home town Mirpurkhas. It was mango season and as Mirpurkhas lied in mango country, I asked him to buy me some delicious mangoes from Mirpurkhas. When he came back, he was empty handed. I asked him why didn’t he bring mangoes for me. He said the quality available there was not good. I told him that it is not possible that the good quality mangoes didn’t grow in Sind. He said that I misunderstood him. 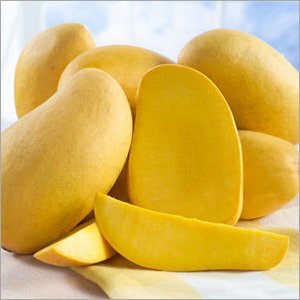 It is not that good mangoes don’t grow in Mirpurkhas rather good mangoes are not sold in Mirpurkhas. They are packed and sent to Karachi for consumption and export as they get higher prices. It is a tragedy that the people where the fruit is grown are not able to buy it because people in far away places like Karachi or abroad are willing to pay a much higher price for it. Around 2008, a friend in Karachi was advising on merger between makers of Lays chips and Kolson snacks. He was sitting in one of the meetings between the two companies and discussion of potatoes came up wherein the Kolson guy told the Lays people that you don’t leave any potatoes for us. At this, the Lays people just laughed. When the meeting was over, my friend asked the Kolson team what is this about potatoes. Kolson team told him that Lays has reached an arrangement with major potato farmers in Pakistan that they will get the first pick of all potatoes grown in the country. Once the company fulfills its quota or has rejected the produce, then the farmers can sell the potatoes in the market. 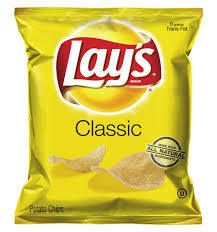 So in a sense, the Pakistani nation buys and consumes that potatoes that have been rejected by Lays. Our best potatoes are used to make chips. 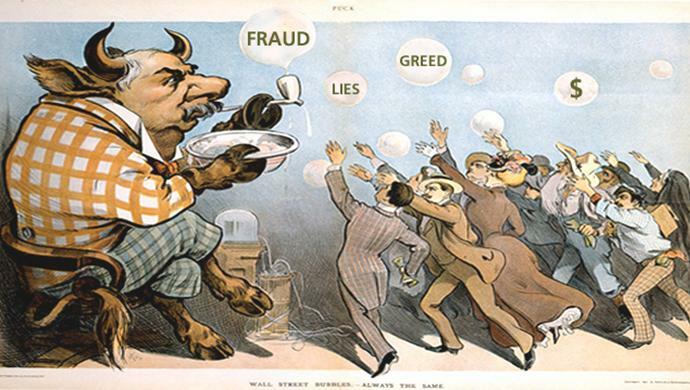 Nestle has also been involved in such practices. 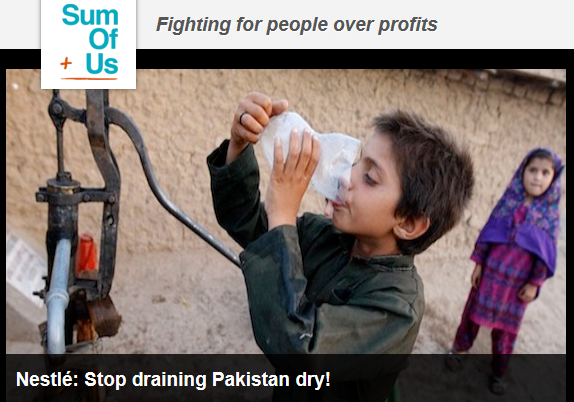 From the petition page Nestlé: Stop draining Pakistan dry! Nestlé’s aggressive water grab is already descending like a plague on parts of Pakistan. In the small village of Bhati Dilwan, villagers have watched their water table sink hundreds of feet since Nestlé moved in. Children are getting sick from the foul-smelling sludge they’re forced to choke down. The aggressive market strategies of Nestlé went astray when “awareness seminars” about bad water conditions turned out to be counterproductive. Nestlé asked its Lahore ad agency, Interflow Communications Ltd., to organize public information events about water hygiene issues. Participating officials of health and water agencies announced that tests had determined that urban water was unsafe for drinking and even existing bottled water was unhealthy. Nestlé discontinued the seminars immediately after it was reproached for unethical marketing practices. For instance, a representative from the Lahore Water Supply Company alleged that Nestlé was “misleading the people to make money”. Regardless of the discussion and temporary fall back from Nestlé, it became clear that bad news was also good news, and Nestlé gained public attention as a safe option for bottled water. In the end, Nestlé successfully stepped into the market andfilled a need, but turned water from a danger into a luxury. After five years of operation, Nestlé faced its first opposition when it announced that it would build a second production plant in Karachi. On October 25, 2003, the Shaheed Zulfiqar Ali Bhutto Institute of Science and Technology sent a writ petition to the Sindh High Court (Karachi), saying that the 20 acres leased out to Nestlé were carved out of the 300 acres of land allotted to it previously. The lawsuit has been joined by Sindh Institute of Urology & Transplantation, Aga Khan Hospital and Medical College Foundation, Sindh Madressahtul Islam, Newport Institute of Communication & Economics, Sir Syed University of Engineering & Technology, Shaukat Khanum Memorial Cancer Hospital & Research Centre, and Ziauddin Medical University — all land allottees in the said area. 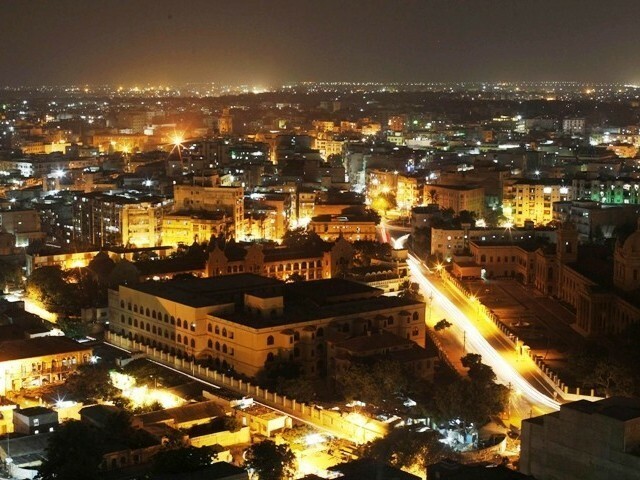 The property is located in an area spread over 15,500 acres, given to 30 different parties, believed to be designated for various educational and health purposes, and declared “Education City Karachi”. Nestlé bought the property for a price of PKR 500’000, double the price paid by the other parties, with the intention to invest USD 10 million and extract 306 million litres of water annually, for the sale of 228 million litres of bottled water. Ironically, the plant was not planned to meet the needs of the people of Karachi or the South of Pakistan, but for US forces at Afghanistan’s Kandahar Air Base. The plaintiffs argued that Nestlé’s industrial ambitions defeated the very purpose of the area. Nestlé argued that the property was allotted after approval of the provincial cabinet and the department of industries. Furthermore, Nestlé claimed at the end of the dispute that the area was never declared for a single, non-industrial purpose, and the company presented various public officials to promote this position. The plaintiffs, however, could prove that the area was dedicated to education and health services since 1999, and the Sindh High Court (Karachi) held that water extraction by the proposed bottling plant would “diminish water deposits in the aquifers rapidly and shall adversely affect the plaintiffs’ right to use the underground water according to their genuine needs ”. The case is still open, regarding the plant and the investment, since Nestlé continues to legally challenge the decision of the Sindh High Court (Karachi). Nevertheless, one has to keep Nestlé’s self – commitment in mind, namely that it “consult[s] with local communities on water issues”, which was obviously not the case in Karachi. Insufficient water quality mostly affects the poor, who have little power to change policies and priorities and who cannot afford alternatives, such as bottled water, filtering and boiling. The Government of Pakistan officially admitted that “richer households are substantially more likely to have water piped to a tap in the household”. 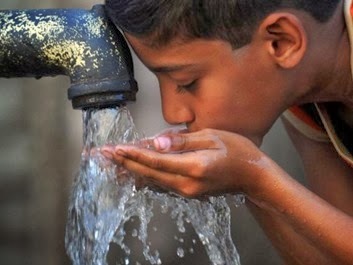 Furthermore, the Government of Pakistan acknowledged that the engagement of corporations, which extract groundwater and sell it as bottled water, might be one of the factors working against water quality improvement because it has reduced the political pressure for improvement by this part of society whose voices are valued and heard. Even Nestlé confessed before it started to produce ‘Pure Life’ that “the fact that everybody can’t afford ‘Pure Life’ is unfortunate, but does that mean we shouldn’t sell it at all?”. From this perspective, it is reasonable that Nestlé focused its marketing on urban centres, railway and bus stations and highway stops. 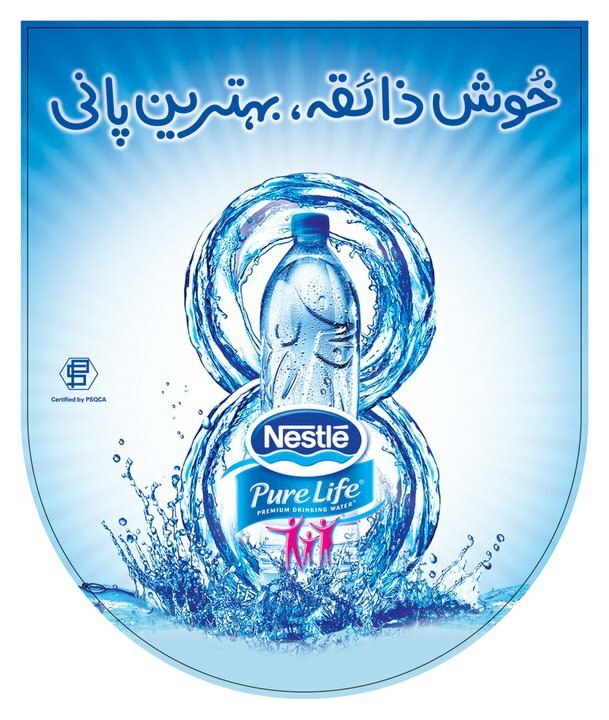 To conclude, one has to say that Nestlé ‘Pure Life’ in Pakistan is not an affordable alternative for the great portion of the population without access to safe drinking water. Rather the introduction of bottled water in Pakistan is an attempt to initiate the bottled water culture, where water is a status symbol and a way of life for the rich. So whether you grow potatoes or mangoes or sitting on water reserves, if you are poor, you will not be able to enjoy these fruits of nature. Coming back to watermelon story, it was like the five star hotels have made a deal with watermelon growers to sell them the best watermelons and once the hotels have bought as per their requirement, then the farmers can sell the remaining watermelons in the market. Obama sips it. Paris Hilton loves it. Mary J. Blige won’t sing without it. How did a plastic water bottle, imported from a military dictatorship thousands of miles away, become the epitome of cool? Nowhere in Fiji Water’s glossy marketing materials will you find reference to the typhoid outbreaks that plague Fijians because of the island’s faulty water supplies; the corporate entities that Fiji Water has—despite the owners’ talk of financial transparency—set up in tax havens like the Cayman Islands and Luxembourg; or the fact that its signature bottle is made from Chinese plastic in a diesel-fueled plant and hauled thousands of miles to its ecoconscious consumers. 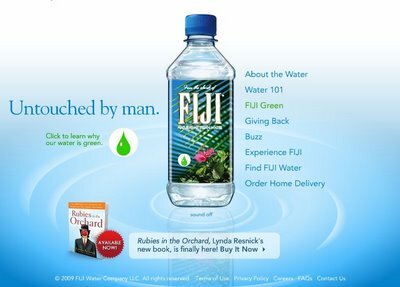 And, of course, you won’t find mention of the military junta for which Fiji Water is a major source of global recognition and legitimacy. I had written a few posts earlier about killings in Karachi and if anyone is interested in serious study or resources about it, I refer you to my earlier post Resources on Karachi Killings. Its has links to very rich and in-depth studies on violence in Karachi. 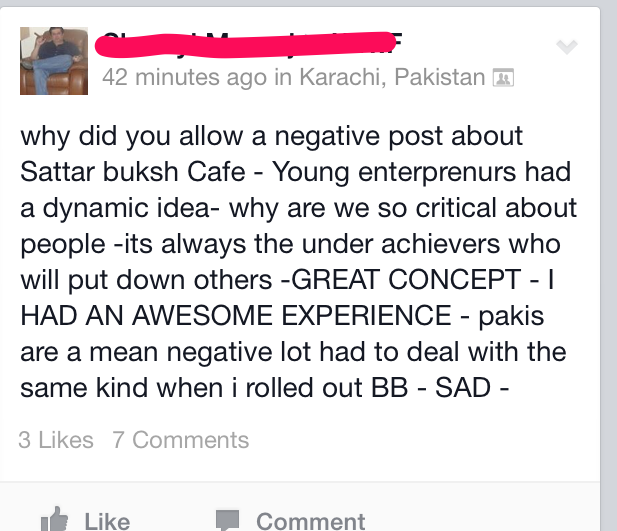 But they all miss the angle that has come to light recently while I was browsing through a Karachi food forum on Facebook. Karachi is a dichotomous city and probably Pakistan is dichotomous as well. There is a part of society that though complains of violence and inflation yet throngs to new food outlets in Karachi that “are popping up like windows on Macbook screens.” and has no qualms spending 5 to 10 thousand rupees on a lunch/dinner or even a snack out for four. It is customary to add here —> for 5 to 10 thousand rupees, a poor family of four can manage to feed themselves for a month. 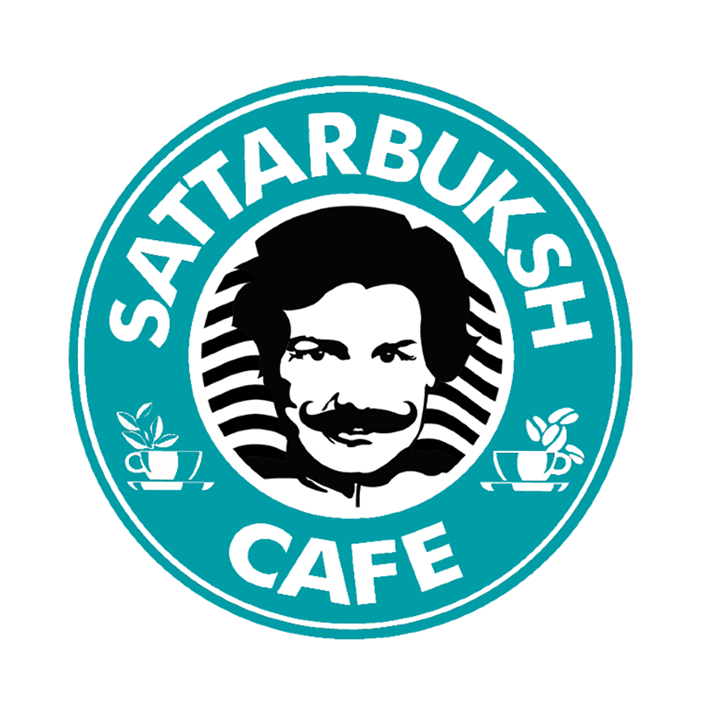 One of those outlets is Sattar Buksh, a play on Starbucks. Sattar and Buksh are pretty common names in parts of the country. The owners even got the low standard newspaper Express Tribune to report on its opening as a news. Sattar Buksh is the latest addition to the list of cafes opened up to cater to the insatiable Karachi appetite, which is ready to engulf everything as people reach new heights of desperation in the entertainment-starved, terror-stricken metropolis. The new place has opened up in Clifton Block 4, that is fast picking up as the next swanky lane catering to the discerning and privileged. It has restaurants such as China Kitchen, Hook, Line & Sinker and the newly opened, Monte Cristo. The Sattar Buksh team says it wasn’t their first venue choice; the cafe was supposed to be in another location in Clifton. You can read the whole article by clicking on the header. It makes for interesting read. Do not miss the comments as they provide an interesting perspective. All this time we have been looking for political, ethnic or financial reasons for people being killed mercilessly in Karachi. But now we find out that its rich entrepreneur kids who are opening eating outlets for rich people but upon receiving negative reviews go on a killing spree. Post script: I didn’t know Pakistanis were giving HEADs to foreign outlets. That is why service at recently opened Burger King in Karachi was so bad as all the servers were busy receiving head. As and when I come across new sources, I will update the list. Is Bahria Town Karachi a good investment? I have already written a very detailed post about Malik Riaz and his shenanigans at Bahria Town. I have also tweeted about it a lot. However, I keep getting inquiries from friends and colleagues asking me if it is a good investment. How do you analyze if anything is a good investment? When you ask what will you get in return for what you are paying for. So for Bahria Town, we will be paying Rs.15,000 (5,000 registration fees plus 10,000 credit towards first installment). What will you be getting in return? No one knows. The location of the project, size of the project, sizes of plots, price of the plot, number of installments etc is all guess work. Rather guess work is limited to location of the project. With respect to the rest of the information, no one has a fking clue. So it is pretty hard to tell if it will be a good investment. But what do we know about it. We know that we will be paying Rs. 15,000 per application. People are submitting 2 to 3 applications each and investing from all over the world. So I estimate that there will be 100,000 applications which I think is pretty conservative considering the hype surrounding it. I did some back of the envelope calculation. At 15,000 per application, that is Rs.1.5 Billion for 100,000 applications. Not a lot of money for him but still a handsome amount as it comes with no strings attached. If we add money he will be getting from other two projects and probably he might be able to get upto Rs.600M of money absolutely free. I don’t know about the investors but for Malik Riaz and Bahria Town entity, this is pretty good investment. Against an advertisement campaign of Rs. 75M (ok lets make it Rs.100M by including future expenses), he will be getting Rs.600M. That is a 600% return in 6 months. Only illegal Ponzi or gambling schemes guarantee such returns. And yet Malik Riaz gets it all legally. Where is Bahria Town Karachi? Is it a scam? Is it Naya Nazimabad? Disclaimer: This is not the sale of the project but entitles you to the right of booking at the time of project launch. The registration process is right out of Emaar’s sales strategy or may be Emaar picked it up from Bahria Town as I recall a similar run for Bahria Town application forms somewhere in 2003-2005. The form used to have a five rupee note attached to it with serial number of rupee note matching the serial number of the form and the form alone used to sell at premium. I used to work in a bank in Pakistan at the time and I remember receiving requests from many corporate clients who were millionaires themselves if I can get them an application form. You can read about Emaar’s abuse of such tactics in Dubai and its role in Dubai bubble here. There is real shortage of affordable housing in Karachi. 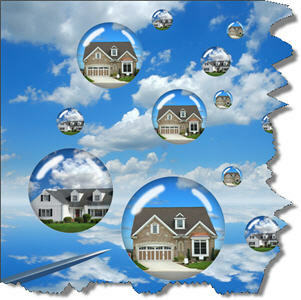 Most people find themselves in a position that they cannot afford a decent house or flat in cash or even on mortgage. There are no reputable builders working in Karachi that have a track record as Bahria Town for delivering projects in Lahore and Islamabad. So when Bahria Town announces a project which people deem would provide them with affordable housing or even a quick buck by flipping it to people who are genuinely searching for affordable housing, everyone jumps on the bandwagon. Malik Riaz, owner of Bahria Town, is a crook when buying or occupying land but when it comes to selling houses or projects to its clients, I have only heard good things about Bahria Town from its residents. But that has just been the experience of people I know. Other people might have had a different experience. 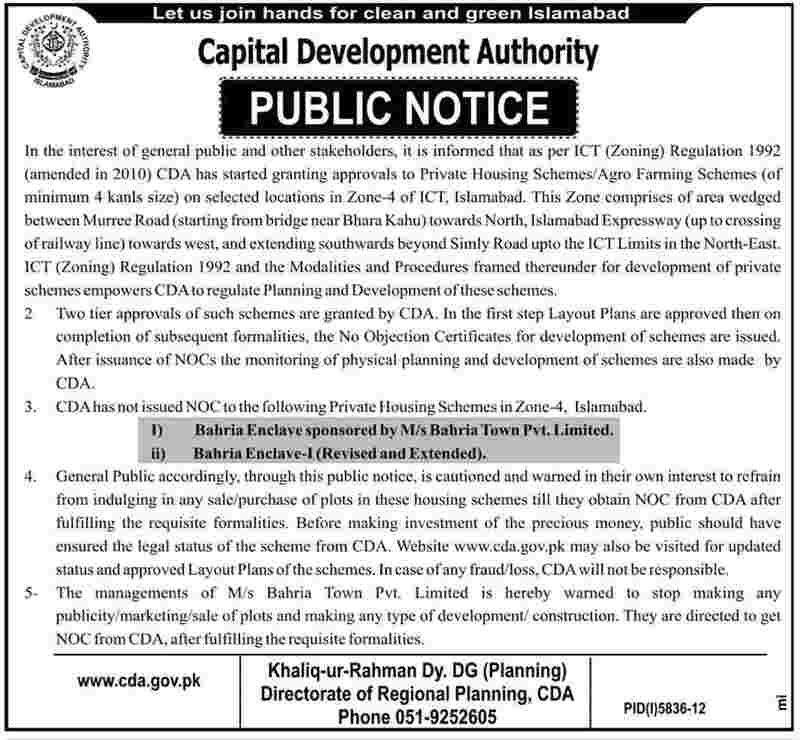 ISLAMABAD – Though the Capital Development Authority (CDA) has submitted a report to the Suddle Commission which states that around 1,400 kanals of civic agency’s land located in Zone-IV has been encroached by Bahria Town…..
“In the report we have mentioned two ways how CDA would resolve the encroachment issue with the Bahria Town. Bahria Town will be given two options, either to vacate the land or pay the price of encroached land,” said an official who prepared report. “Bahria Town will be charged Rs 12 million per Kanal. It is the same price that the Authority has earlier charged against one kanal of land in the Park Enclave,” official said. This shows that according to CDA’s estimates Bahria Town has encroached land worth Rs 16.8 billion. Official sources said that Bahria Town had already started selling commercial plots carved out on encroached land. Then there was a time when Malik Riaz duped even the rulers of Abu Dhabi and Pakistani nation into believing that he will be building world’s tallest tower in Karachi. ABU DHABI: Former chairman and present consultant of Bahria Town, Malik Riaz Hussain has signed an agreement with His Highness Sheikh Nahyan bin Mubarak al Nahyan, Chairman Abu Dhabi Group, Union National Bank and United Bank Limited under which $45 billion will be invested in Pakistan. The investment will be made in various construction projects, and is the biggest-ever foreign investment in Pakistan. Out of the total investment value, $10 billion will be invested in Islamabad and Lahore whereas $35 billion will be invested in Sindh. Is this funny, sad or simply stupid. 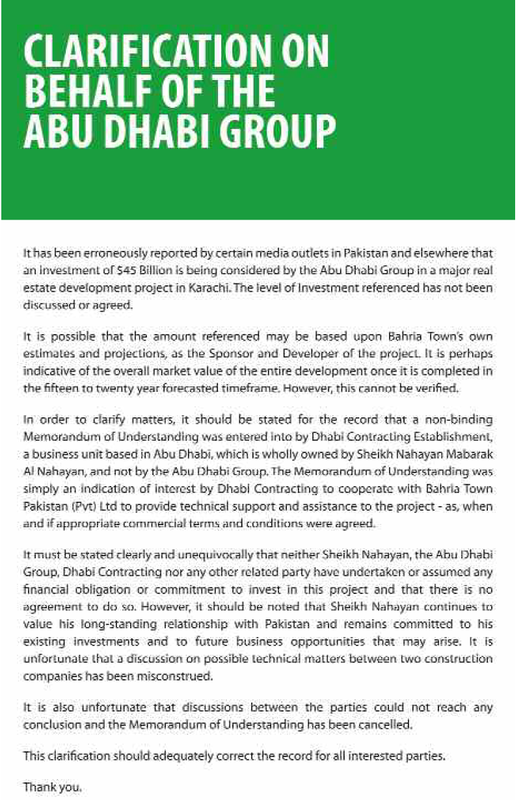 The clarification by Abu Dhabi Group about their alleged $45 billion investment in Pakistan may have exposed lots of things — and lots of people. One Malik Riaz of Bahria Town for sure. He virtually conned the Abu Dhabi Group, Pakistani media and the public. We already knew about his hold on the Pakistani media….The Bahria advertisements worth billions of rupees have simply blinded media owners who ensure that nothing is published against Bahria Town. The announcement of a whopping $45 billion investment in Pakistan was a dream-come-true story. This too at a time when nobody wants to invest a penny in Pakistan, and half of my foreign friends want to send their mothers-in-law for ‘sight-seeing’ in FATA. Not a single journalist bothered to even check if there was any news of this sort on any website of the UAE companies or whether Sheikh Nahayan had actually said those words. The half-page advertisement on newspapers’ front pages, showing Malik shaking hands with the Sheikh seem to have blinded everything. Or perhaps they were told not to test their editorial discretion. My Dubai friend, knowing Bahria’s leverage on Pakistani media, could understand that the news got carried on the first day. “But how about the five days after that,” he asked, confused. “Why nobody followed-up on the story that was supposed to be the biggest investment in the country’s history.”It turns out that the Abu Dhabi Group and the UAE government was aghast at the development. But since they have lots of investment here they did not want to embarrass Pakistanis. Obviously, the Dubai rulers knew they were duped into that photo-up and their reputation was being used for petty benefits. It is easy to understand the benefits. This kind of news changed the scenario for Malik Riaz. He was being hounded by the courts in numerous cases, some of them seriously heinous. He was in conflict with LDA over opening new housing schemes in Lahore without permission. 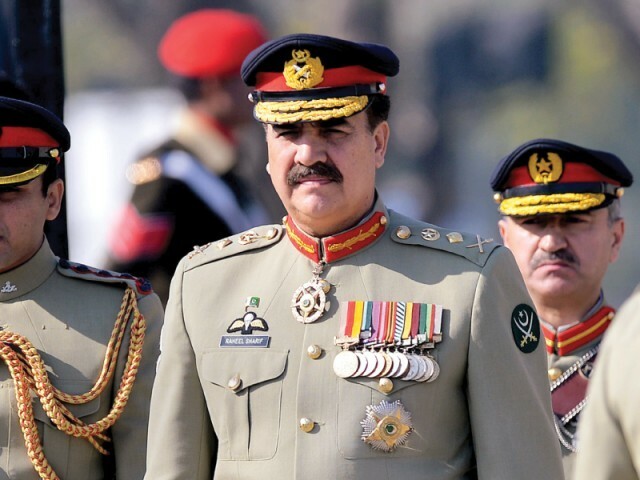 He was also in conflict with the army for land dispute with DHA that affects thousands of former army officers and jawans. All of this may have shaken the public confidence in his housing projects. In monetary terms this could mean a loss of billions of rupees for him. Such news about building the tallest building in Karachi is worth a lot though. But you don’t get to where Malik Riaz is without having nerves of steel. The Abu Dhabi group story is dated 16 Feb 2013. IWhen the story finally broke down that there was no Abu Dhabi Group behind the fantastical project after a week, Malik Riaz went and got himself another savior. The following story is dated March 12, 2013. 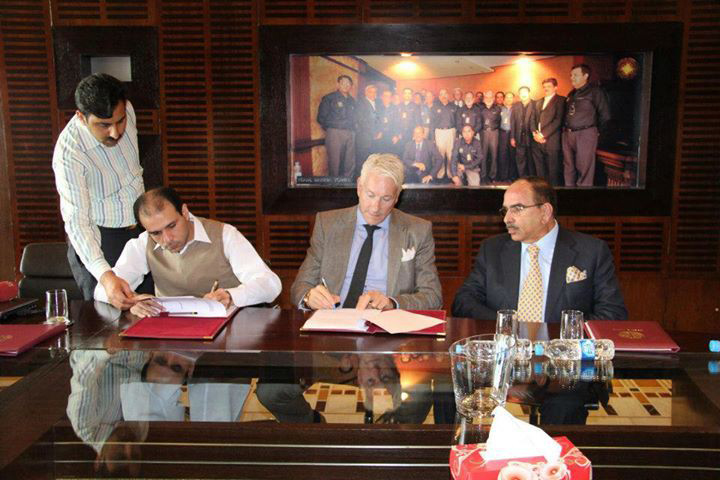 ISLAMABAD: American real-estate tycoon Thomas Kramer and Bahria Town CEO Ahmed Ali Riaz Malik signed a $20 billion agreement for Pakistan’s first-ever Island City, Bundal & Buddo Islands, Karachi. A joint consortium of international investors will join hands to develop this project and the deal with Kramer is the first level of this agreement. Announcement of other global investors from the Middle East and around the globe will be made soon. Covering 12,000 acres of land, this project will be developed in a span of 5-10 years but the residential communities will start being handed over to people in 2016. The global attractions of the project comprise world’s tallest building, world’s largest shopping mall, sports city, educational & medical city, international city and a media city – all having the most modern facilities and amenities and the most advanced infrastructure. 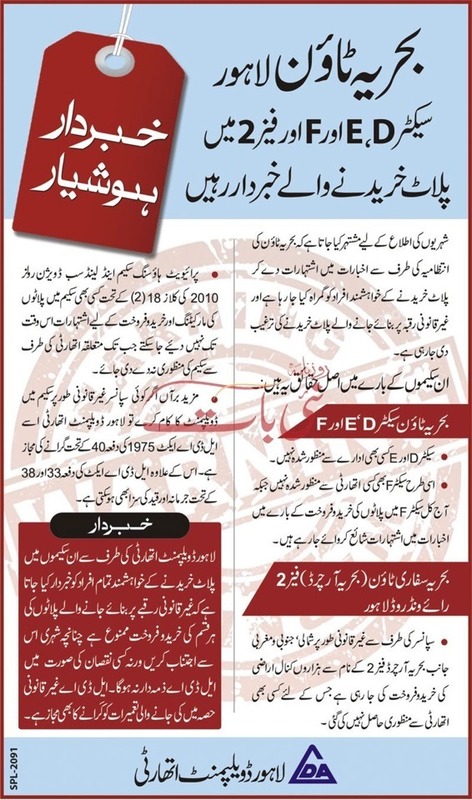 So the project moves from Kutta Island to Buddu and Bundal Island yet still no newspaper questions its credibility. However, Malik Riaz had wisened this time. He even involved Thomas Kramer in this scam as evident from Thomas Kramer’s own website. It is reproduced in full below just to give you a flavor of what happens when one con artist meets another con artist (they may have been successful developers earlier but recently both Riaz and Kramer are acting more like con artists). 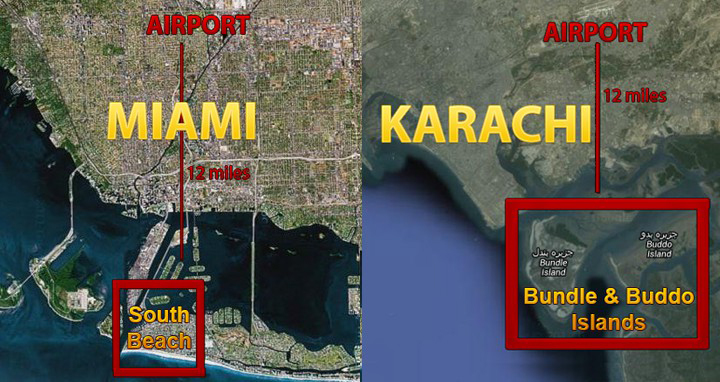 Karachi is getting the Biggest Island Development in the World! A bold step was made for the future of Pakistan: Its biggest real estate tycoon Malik Riaz was able to convince the US-German real estate visionary Thomas Kramer to jointly develop the first Island City off the coast of Karachi, named Bundle & Buddo Islands. A spokesman of Bahria Town expressed what an honor it was to join hands with a entrepreneur of Thomas Kramer’s caliber: After all, the “quick change artist,” as Thomas Kramer is described in a recent New York Times article, has a reputation for knowing how to get impossible things done. In the early 90’s Thomas Kramer took a helicopter ride over South Beach and had a vision: to create an international hot spot on the Southern tip of Miami Beach. What happened there, in less than a decade is absolutely mind boggling. The area was then a slum and full of dilapidated buildings. Thomas Kramer invited 11 world-renowned architectural firms to his world famous Charette. With his vision and foresight, he pioneered luxury living in Florida by transforming the once-blighted neighborhood of Miami Beach “South of 5th” into a sophisticated world-class destination. Almost five years ago, Thomas Kramer met Malik Riaz in Islamabad where he invited him to visit his developments in South Beach.A year and a half later, Thomas Kramer was able to welcome Malik Riaz to 5 Star Island, his luxurious mansion. Malik Riaz was highly impressed by the degree of efficiency, innovation and quality that he saw in Thomas Kramer’s projects. Actually seeing the realization of a world-class development is better than any PDF presentation. Convinced that he found the right man for the job, Malik Riaz invited Thomas Kramer back to Pakistan where he offered him the use of a helicopter to spot potential development sites along the coastline. After days of inspection flights, Thomas Kramer was most impressed by the beauty of a chain of unoccupied islands, roughly 16,000 acres, located 2 miles outside of Karachi and just 12 miles away from Jinnah International Airport. Most striking to him are the similarities between the Island of Karachi and Miami Beach in terms of climate and vegetation – obvious when comparing historic Miami Beach pictures, prior to its development in the early 20th century, with the Island of Karachi today. Finally, through unwavering persistence, Malik Riaz was able to secure a 100-year lease with an automatic additional 100-year lease renewal option on this land. Having signed the initial contract in March 2013 (The Express Tribune), both parties are now ready to bring their vision a high-end, self-sufficient waterfront hot spot to life. The deal is worth USD 20 billion and the project is expected to be completedwithin 10 to 15 years. The first committed financier was Abu Dhabi. At the deal signing, Thomas Kramer stated that this project − along with boosting the region’s economy and garnering the interest of international investors in the realty sector − will likely help eradicate terrorism in Pakistan. Furthermore, he believes that this is a unique opportunity that will put Pakistan back on the map of leading nations in the world. The project covers 16,000 acres of land. The global attractions of the project include the world’s most sophisticated marina, some of the world’s tallest buildings, the world’s most beautiful shopping arcades, a Sports city, an Educational and Medical city, an International city and a Media city. Each will have the latest in modern facilities and amenities as well as the most advanced infrastructure. Like in Miami Beach, Thomas Kramer was able to negotiate a connecting highway, 12 mile long and 8 lane wide, from the Island City to Jinnah International Airport.The entire city will be a “high security zone” with its own desalination plant that will convert sea-water into potable water. Power generation plants will enable it to be completely self-sufficient. Moreover, the project will have mosques, cinemas, spas, golf clubs, schools, hospitals and other global standard amenities to furnish a modern lifestyle. The first phases of the development will be available in 2016. Malik Riaz has pulled another rabbit out of his Bahria hat. As the Abu Dhabi Group backs out of the $45 billion deal that never existed in the first place — enter Thomas Kramer. The spokesman claimed, “the worlds’ most modern shopping mall will also be built” and link Karachi to the Island through a six-lane bridge. Interestingly, the same group had published news on Monday, quoting the same spokesman, who bragged about an investment of 15 to 20 billion ‘rupees.’ During the day, rupees turned into dollars. Bahria Town, it says, took advance money from investors illegally, besides the tax evasion of Rs 119 billion as mentioned by the FTO. The report lies with the FBR and may be taken up by the next government to recover this huge amount from Malik Riaz. May be! So where does this leave the glamourous project? Frankly, it suits everybody. Malik Riaz got the island through dubious means and will not mind to give a huge stake to the American investors. Money will come from the public who are already being shown the dreamy image of the recreated Miami. The media story flashed on Monday shed light on the dazzling projects that Kramer had accomplished in Florida and how he turned around the pirates’ den across Cuba into one of the priciest real estate in the US. And why should Kramer not be interested. He gets a good deal — the island, the naive public dying to book an apartment in the dream world, the official approvals — for just showing up. That morning marked a new low in one of the most incredible rise-and-fall stories in Miami Beach’s storied history of booms and busts. In the 1990s, Kramer was SoBe royalty, the man who’d spearheaded the South of Fifth revival and ruled from a waterfront mansion where wild shindigs sometimes turned into outright orgies. More than anyone, he symbolized an era of glamour, decadence, and carefree excess. Now it was all over thanks to a Swiss court ruling in January that Kramer had to repay nearly $200 million to a German currency-printing dynasty. His appeals were up. Everything had to go — the house, the staff, the jewelry, the extensive cellar of vintage wine, even the taxidermied giraffe that greeted visitors in the hallway. Because of my job in Kramer’s mansion, I had a unique front-row seat for his last days in Miami Beach. I saw one man’s desperate efforts to salvage his name and his livelihood, afraid but hopeful that some last-minute opportunity would save him from financial ruin. In fact, by the time he dismissed his staff, Kramer had already found the man he believed could be his long-shot savior: a scandal-tarred Pakistani plutocrat named Malik Riaz who wanted a partner to build a $20 billion island city in Karachi. Riaz, Kramer said that morning between sobs, was his last best hope. “This is a once-in-a-lifetime chance to bring Pakistan back on the map of the leading nations in the world,” Kramer later said of the project. If he succeeds in Karachi, Kramer could pull off the ultimate coup in a career full of remarkable comebacks. If he fails, though, it’s anyone’s guess how low he could fall. KARACHI, June 13: The Sindh High Court on Thursday restrained the Port Qasim Authority and other respondents from carrying out construction or any other activity on islands located at the western end of the Sindh coastal zone near Karachi. The petition was filed by Shahid Hussain Soomro, a worker of the Pakistan Muslim League (Functional), who impleaded the chief secretary, port and shipping secretary, PQA chairman, senior member of board of revenue and the chief executive officer of the Bahria Town, Islamabad, as respondents. The counsel stated that the PQA was an authority of the federal government that had nothing to do with the allotment of valuable lands and islands belonging to the provincial government. He said it was a matter of record that the then chief minister had in 1974 approved the summary for allotment of 13,000 acres for the PQA. However, he said, it was clearly mentioned that the PQA would not use the allotted land for commercial purposes. The counsel argued that the deal between the PQA and the Bahria Town was contrary to fundamental rights guaranteed under Article 19-A read with Article 4 of the Constitution. The petitioner prayed to the court to declare that the allotment of the islands to Bahria Town was illegal, unlawful and ultra vires of the law and without jurisdiction. He also prayed to the court to restrain the respondents from carrying out any construction and agreement on the impugned property. It wouldn’t be Malik Riaz if he stayed out of news for long. ISLAMABAD: The Supreme Court on Monday ordered to bring the looters of the public money to book, directing the Director General of the Federal Investigation Agency (FIA) to probe the alleged Rs40 billion corruption in the Employees Old-Age Benefits Institution (EOBI) and submit a report to it within 10 days. At the outset of the hearing, former director Town Planning, Defence Housing Authority DHA, Col (retd) Tariq Kamal alleged that some 400 kanal land near Rawalpindi was handed over to Bahria Town without any financial consideration and the land was later purchased by the EOBI for investment purposes. 3. Malik Riaz is a criminal (but then everyone is. Here is ‘PAF forcibly occupied CAA land & convert it into private housing society‘. PAF acquired that land in national interest to build a radar station but ended up selling it as a residential housing society. So where does that leave the current projects in Karachi. I have a few issues with them. 1. 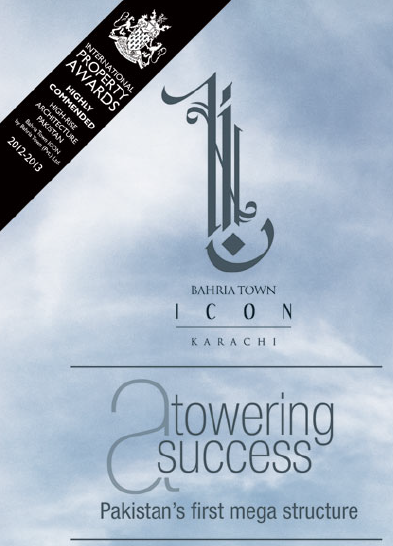 Above is a logo Bahria Icon Tower. How an under construction tower be a SUCCESS? On what basis did the tower won the property award? Who gave it an award and based on what: architectural drawings? 2. Above is one of the term of registration of Bahria Town saying that size of the house, plot, its price and rest of the details would be finalized at the time of booking. Registration fees that you are paying is for the privilege of being invited to the booking event. Why would any investor put up money for something for which he has no idea he is buying or whether he can even afford to or would like to buy. 3. Finally, there has been no infomration where is this Bahria Town located. One must be crazy for putting money for a project for which we don’t know where it is located, what is the size of the project, what is the shape of project, what are we buying in the project. Even small projects need approval from municipal development authorities but in Karachi whose infrastructure is already creaking, a project of this size would need major approvals for bringing in water, gas etc to the development but no one seems to care. A friend who works in foreign bank in Karachi says colleagues around him are going crazy filling in multiple application forms. Friends in other banks also told me similar stories. People are calling in from up country even overseas (one friend received four phone calls from his friends and family abroad in one day inquiring about how to invest in the project). But no one is asking where is the project located? And then music stopped and we all knew what happened to Citibank. Oddly reminiscent of Tulip Mania or South Sea Bubble or DotCom bubble or Dubai bubble or myriad other bubbles through out human history. Based on the inquiries I made, it is appearing that it is Arif Habib started venture Naya Nazimabad which will be the new Bahria Town. 2. For the project of this size to be located anywhere else in Karachi, lot of approvals will be required from KBCA and KDA and other agencies for provision of utilities. There has been no record of Bahria Town seeking any approvals from civic agencies or negotiating with utility and infrastructure companies in Karachi. This means two things: either the project is outside Karachi or all those approval have already been obtained. For the latter case, only Naya Nazimabad qualifies as they have all such approvals. 3. Sources within Arif Habib tell me that Arif Habib has already sold its significant stake in Naya Nazimabad. 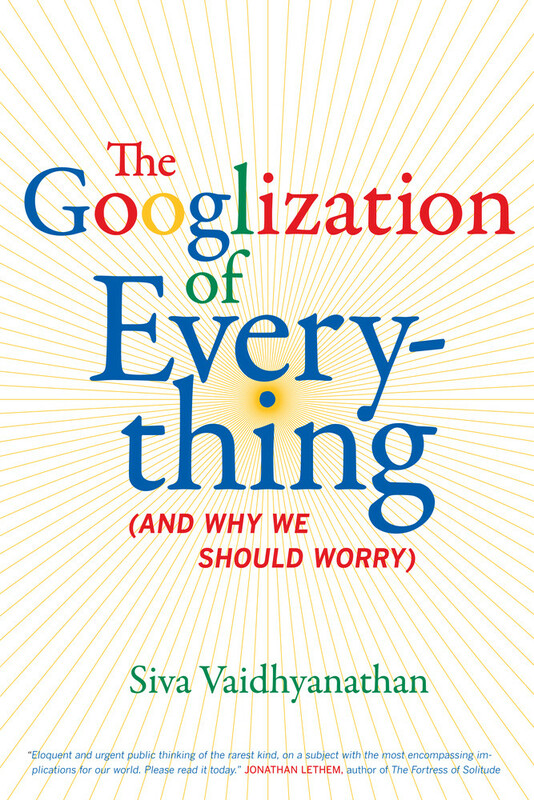 What does Google do to our brain? The question was first raised by Nicholas Carr in his landmark piece for Atlantic magazine Is Google Making Us Stupid? And what the Net seems to be doing is chipping away my capacity for concentration and contemplation. My mind now expects to take in information the way the Net distributes it: in a swiftly moving stream of particles. Once I was a scuba diver in the sea of words. Now I zip along the surface like a guy on a Jet Ski. “We are how we read.” Wolf worries that the style of reading promoted by the Net, a style that puts “efficiency” and “immediacy” above all else, may be weakening our capacity for the kind of deep reading that emerged when an earlier technology, the printing press, made long and complex works of prose commonplace. When we read online, she says, we tend to become “mere decoders of information.” Our ability to interpret text, to make the rich mental connections that form when we read deeply and without distraction, remains largely disengaged. The Net’s influence doesn’t end at the edges of a computer screen, either. As people’s minds become attuned to the crazy quilt of Internet media, traditional media have to adapt to the audience’s new expectations. Television programs add text crawls and pop-up ads, and magazines and newspapers shorten their articles, introduce capsule summaries, and crowd their pages with easy-to-browse info-snippets. progress, there’s a countertendency to expect the worst of every new tool or machine. 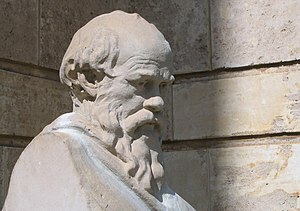 In Plato’s Phaedrus, Socrates bemoaned the development of writing.He feared that, as people came to rely on the written word as a substitute for the knowledge they used to carry inside their heads, they would, in the words of one of the dialogue’s characters, “cease to exercise their memory and become forgetful.” And because they would be able to “receive a quantity of information without proper instruction,” they would “be thought very knowledgeable when they are for the most part quite ignorant.” They would be “filled with the conceit of wisdom instead of real wisdom.”Socrates wasn’t wrong—the new technology did often have the effects he feared—but he was shortsighted. He couldn’t foresee the many ways that writing and reading would serve to spread information, spur fresh ideas, and expand human knowledge (if not wisdom). The short answer is: No. Machines aren’t ruining our memory. The longer answer: It’s much, much weirder than that! What’s really happening is that we’ve begun to fit the machines into an age-old technique we evolved thousands of years ago—“transactive memory.” That’s the art of storing information in the people around us. We have begun to tr eat search engines, Evernote, and smartphones the way we’ve long treated our spouses, friends, and workmates. 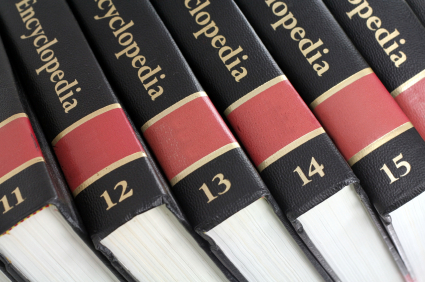 They’re the handy devices we use to compensate for our crappy ability to remember details. And frankly, our brains have always been terrible at remembering details. We’re good at retaining the gist of the information we encounter. But the niggly, specific facts? Not so much. Wegner suspected this division of labor takes place because we have pretty good “metamemory.” We’re aware of our mental strengths and limits, and we’re good at intuiting the memory abilities of others. Hang around a workmate or a romantic partner long enough and you discover that while you’re terrible at remembering your corporate meeting schedule, or current affairs in Europe, or how big a kilometer is relative to a mile, they’re great at it. They’re passionate about subject X; you’re passionate about subject Y. So you each begin to subconsciously delegate the task of remembering that stuff to the other, treating one’s partners like a notepad or encyclopedia, and they do the reverse. In many respects, Wegner noted, people are superior to notepads and encyclopedias, because we’re much quicker to query: Just yell a fuzzily phrased question across to the next cubicle (where do we keep the thing that we use for that thing?) and you’ll get an answer in seconds. We share the work of remembering, Wegner argued, because it makes us collectively smarter. 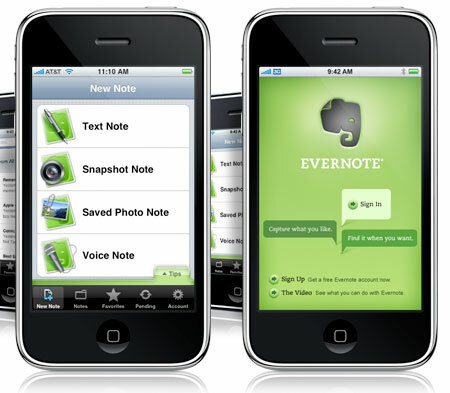 And as it turns out, this is what we’re doing with Google and Evernote and our other digital tools. We’re treating them like crazily memorious friends who are usually ready at hand. If there’s a big danger in using machines for transactive memory, it’s not about making us stupider or less memorious. It’s in the inscrutability of their mechanics. Transactive memory works best when you have a sense of how your partners’ minds work—where they’re strong, where they’re weak, where their biases lie. I can judge that for people close to me. But it’s harder with digital tools, particularly search engines. 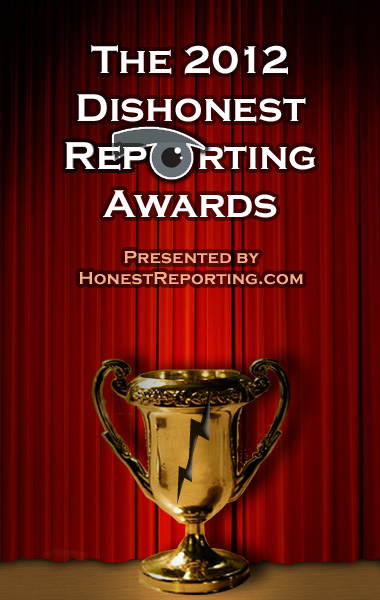 They’re for-profit firms that guard their algorithms like crown jewels. And this makes them different from previous forms of transactive machine memory. Like Socrates, I am tempted to extrapolate the above examples to say that transactive memory provided us a shared knowledge about our relationships and a means of connecting and interacting with each other. With the ubiquity of Google we will be interacting with our relationships lesser which may be harmful to our relationships as already 24 hour TV, MOMPRPG videogames and tweeting/facebooking have wreaked havoc with our relationships. And like Socrates, I will be shortsighted in saying that. We cannot stop the march of technology. People might not have liked writing, TV, mobile phones, texting, social media but the fact remains that these services have become part of our social fabric and we can not tear them away from our lives. Google as a ubiquitous search engine is here to stay and with time will become stronger, more intrusive and omnipresent. As a company it may disappear as many “build-to-last” companies have disappeared before it but then some other company will come to fill in the role. 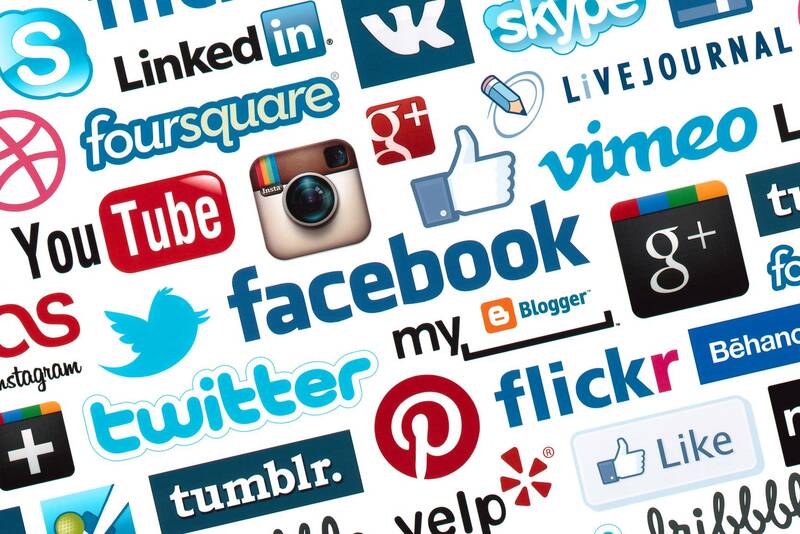 The ubiquitous search engine be it Google or any other one in future, is part of our social and mental make up. Our brains have rewired themselves to live with it. However, there is no free lunch. So there will be some costs associated with this. 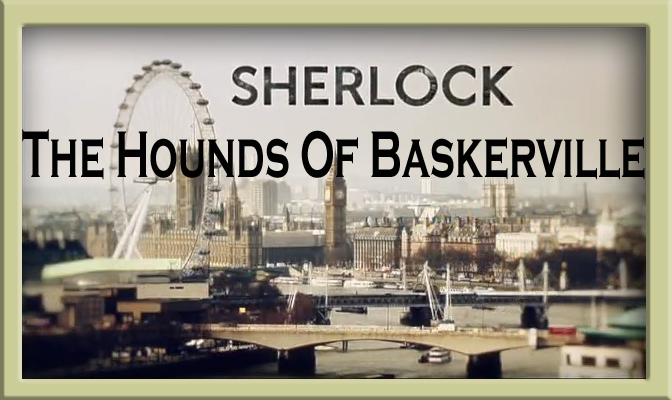 The costs that come to my mind are that we will not be able to make connections between different events unless Google makes those connections for us like the one Sherlock Holmes makes in BBC’s The Hounds of Baskerville. In fact, as transactive partners, machines have several advantages over humans. For example, if you ask them a question you can wind up getting way more than you’d expected. If I’m trying to recall which part of Pakistan has experienced tons of U.S. drone strikes and I ask a colleague who follows foreign affairs, he’ll tell me “Waziristan.” But when I queried this online, I got the Wikipedia page on “Drone attacks in Pakistan.” I wound up reading about the astonishing increase of drone attacks (from one a year to 122 a year) and some interesting reports about the surprisingly divided views of Waziristan residents. Obviously, I was procrastinating—I spent about 15 minutes idly poking around related Wikipedia articles—but I was also learning more, reinforcing my generalized, “schematic” understanding of Pakistan. Now imagine if my colleague behaved like a search engine—if, upon being queried, he delivered a five-minute lecture on Waziristan. Odds are I’d have brusquely cut him off. “Dude. Seriously! I have to get back to work.” When humans spew information at us unbidden, it’s boorish. When machines do it, it’s enticing. And there are a lot of opportunities for these encounters. Though you might assume search engines are mostly used to answer questions, some research has found that up to 40 percent of all queries are acts of remembering. We’re trying to refresh the details of something we’ve previously encountered. but I don’t think it will hold in majority cases. Moreover, this is a case of misplaced example. It may also have happened when people used book Encyclopedias for researching a topic or read books in search of quotes etc but now that since Google will be providing us information in the first link that it generates, there is a very little chance that will be click on the second link or be moved to read something that we were not looking for. The instantaneous gratification that we expect from Google will ensure that we do not learn any new thing unintentionally. I occasionally teach GMAT to local Kuwaiti kids who have been raised on calculators from young age. Some of these kids are totally incapable of adding triple digit numbers. When I do multiplications and/or divisions in front of them on whiteboard, its like I am teaching them Greek or rocketscience as it goes over their heads. These are no illiterates. They work in mostly financial institutions and are there to prepare for GMAT so that they can go to US or UK to do MBAs etc. Yet their brains after having not used that faculty for so long are no longer capable of doing those simple sums.